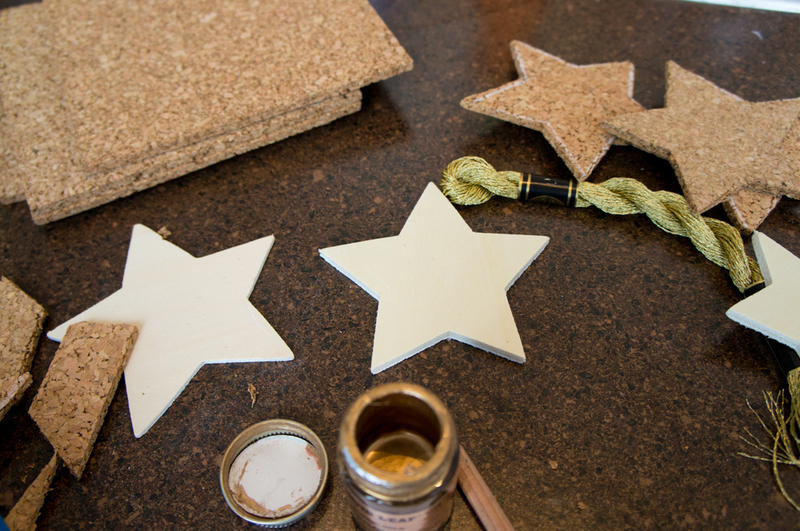 For this year's holiday ornament swap I wanted to simplify a bit from the past years. 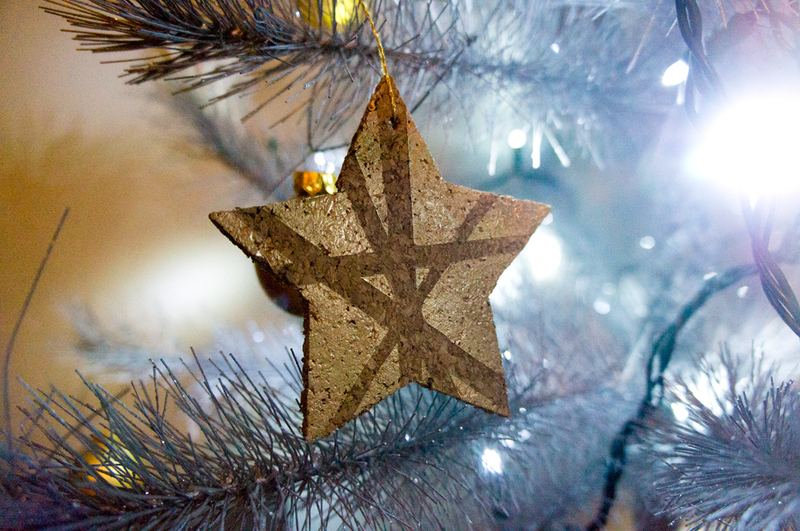 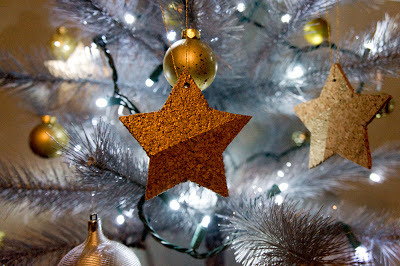 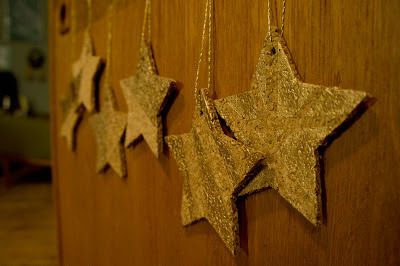 I combined two elements I love in almost every instance to come up a modern, rustic star ornament design; metallics paired with natural elements like wood, cork, jute and stone. 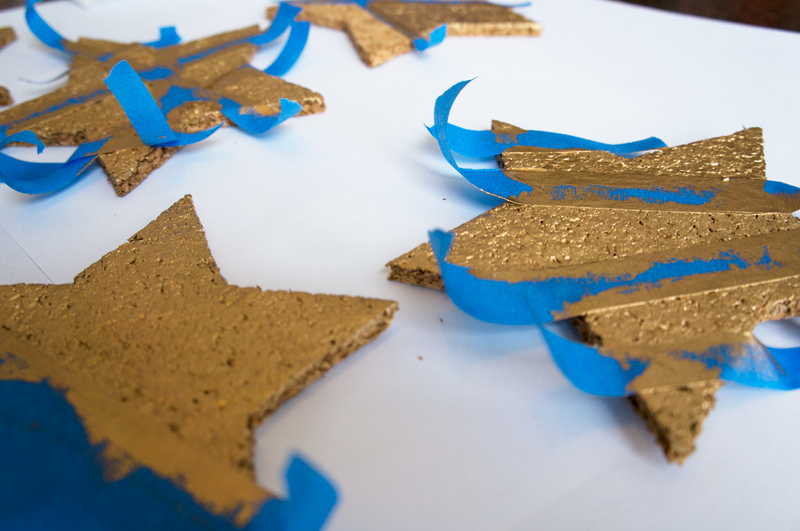 Supplies – Sheets of cork from JoAnns, Liquid Leaf in Classic Gold, something to use as a shape template (I had some wood craft stars from another project), a white charcoal pencil, painters tape, scissors, string and a paint brush.